If you’re looking for scavenger hunt ideas, you’ve come to the right place! This is the ultimate list of scavenger hunts with everything from photo scavenger hunts to scavenger hunts for kids! And even some of the best scavenger hunts for adults! 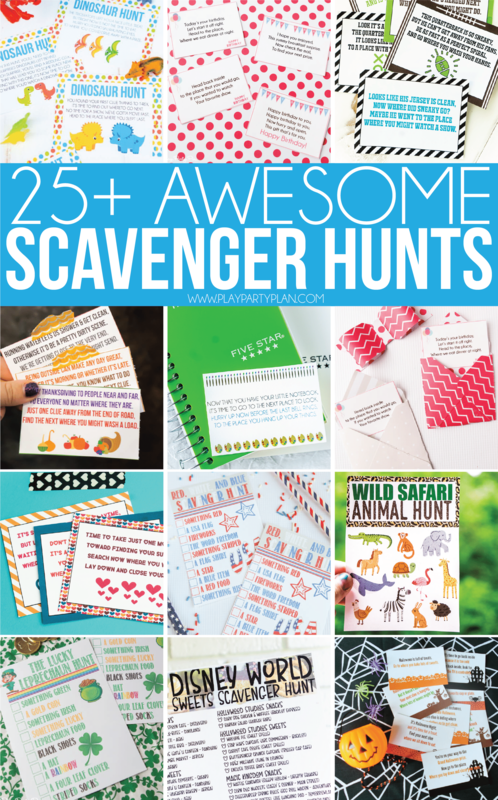 So many amazing scavenger hunts in one place! How Do You Organize a Scavenger Hunt? 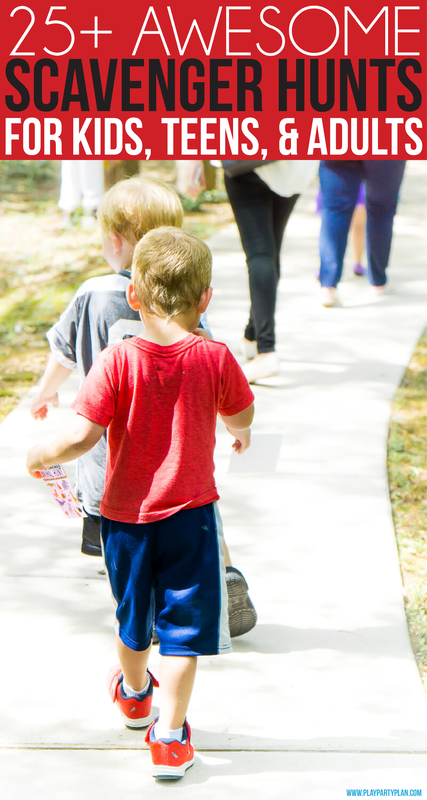 Scavenger hunts are one of the most fun party games you can play! 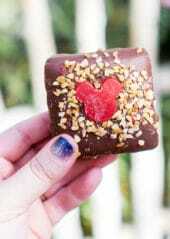 Or if you’re not having a party, they’re also perfect for a way to lead your friends or family to a surprise. There are two main types of scavenger hunts – a treasure hunt type scavenger hunt and a find this list of things scavenger hunt. A treasure hunt scavenger hunt is basically made up of a bunch of scavenger hunt clues or riddles that are hidden in various places throughout a location. The clue cards continue and then lead to some sort of prize, surprise, or treasure at the end! 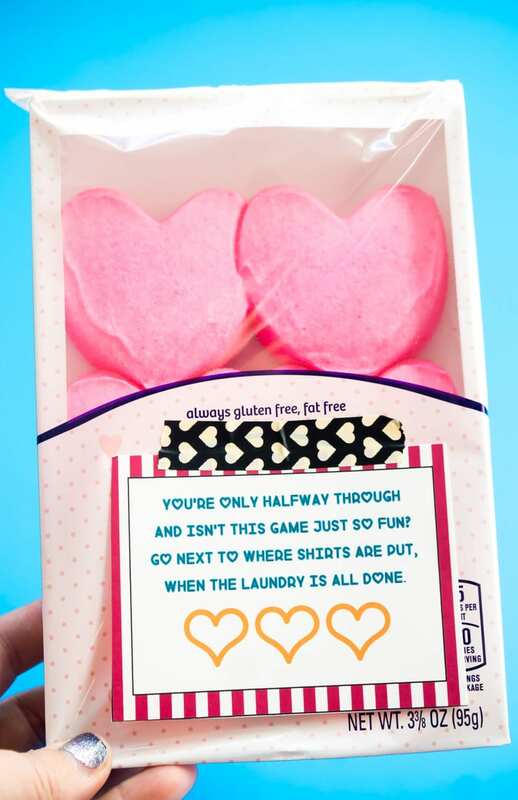 This Valentine’s Day scavenger hunt is a good example! The second type of scavenger hunt is one where you have a list of things that you have to find! 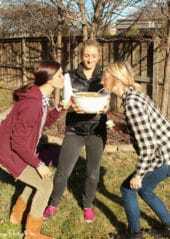 Some of the most trendy photo scavenger hunts right now are photo scavenger hunts where you have to go take photos either at certain locations or doing certain things! Find these things type scavenger hunts are really fun because you really can have them for any holidays or events. 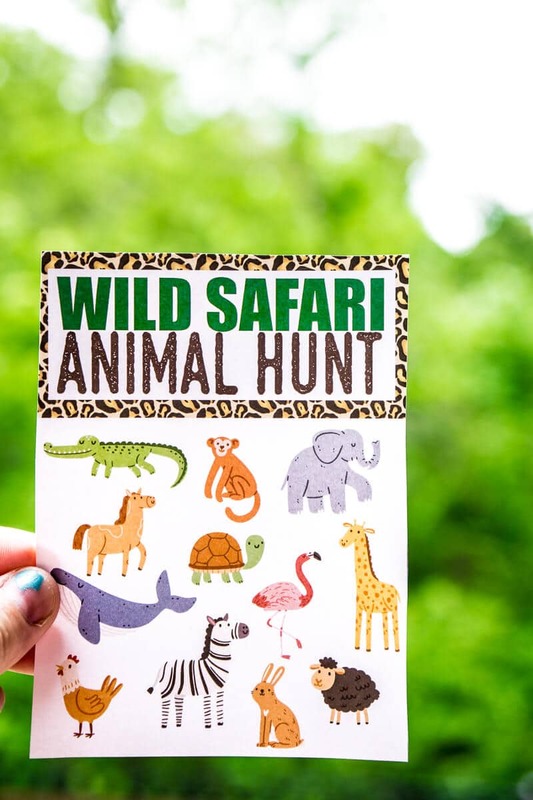 Having an animal themed birthday party, try this wild safari animal hunt. Or try this leprechaun St. Patrick’s Day scavenger hunt for St. Patrick’s Day! 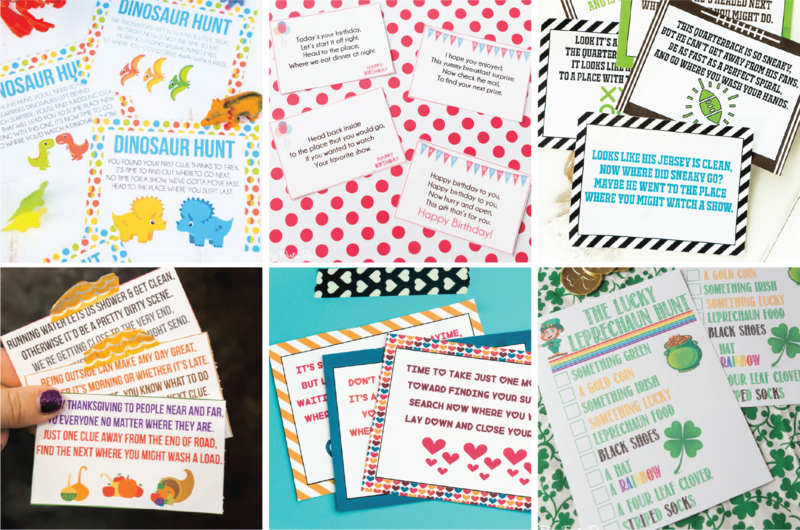 The best thing about these fun scavenger hunt ideas is that you don’t really need many supplies! Most of the scavenger hunts in this post are ones you can print out and use! 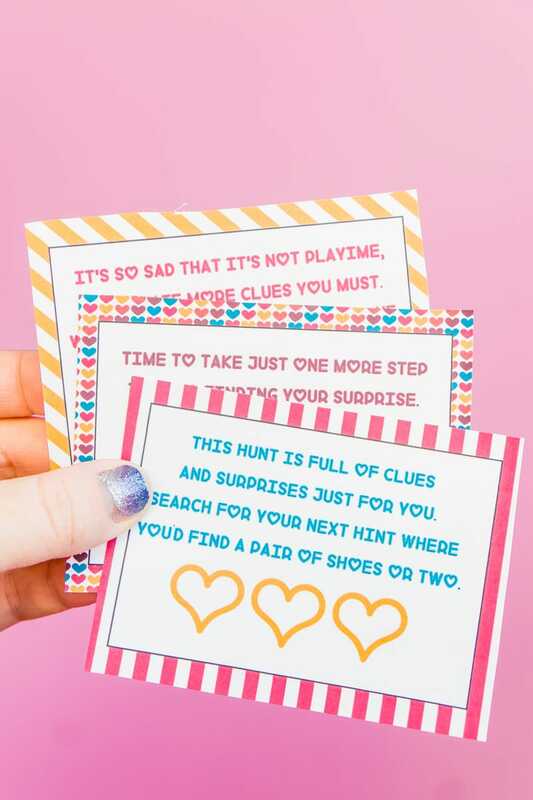 So you really just need the printable clues or cards AND a prize or surprise for the scavenger hunt. That’s it! 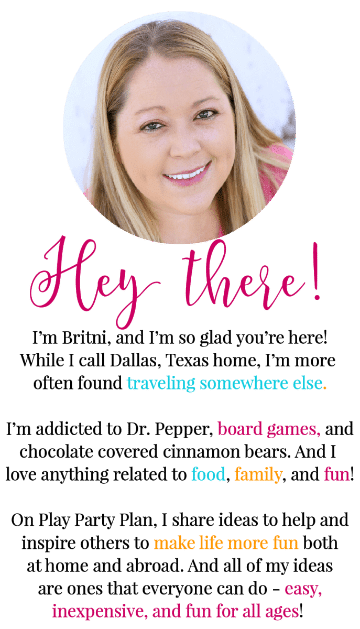 If you need prize ideas, here are some of my favorite scavenger hunt prize ideas! Since everyone will be going together on this hunt at the same time, I recommend doing something smaller that works for the entire group! Or if you’re just doing it for one individual, you can totally get something bigger like we did for my son’s birthday scavenger hunt. For these hunts, either one team or one individual will win so you can go for bigger and better prizes. These types of scavengers hunts typically work better for teens and adults than the other kind, so these prizes are a bit more expensive and worth hunting for! It’s so easy! If you want to do a scavenger hunt for just one person – just do what I talked about, print out the clues or cards and set it up! If you want to do it for a party like I did at my football party for kids, the only change is really to have enough prizes at the end of everyone! If you’re doing a find these things version for a group, simply print out enough cards for the group. Split into teams of 2-3, give each team a card, and send them off with any instructions they need for the specific scavenger hunt. Make sure to have an end time for the activity in case everyone hasn’t been able to find everything on the list! Here’s the ultimate list of scavenger hunt ideas! Click on the links below to be taken directly to game instructions, supply lists, and printables for each of the individual games. 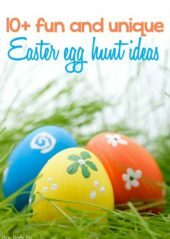 Don’t forget to bookmark and pin this list of scavenger hunt ideas! It will be updated any time I post new game ideas!